Before going any further, let us assure you that the cost of maintaining solar panels is not only ridiculously low but what slight costs you do incur are more than made up for by the money you save using this clean, renewable energy. Additionally, many states offer rebates, property tax exemptions, and other money-saving incentives when it comes to the installation of solar energy systems. So, will your new solar panel energy system cost you something to maintain? Of course, it will. But as you can see, the money that you’re going to save will make not only the installation of the system worthwhile but offset any minor maintenance costs that you may run across in the future. First of all, there are no moving parts to fix or replace. That said, occasionally there are instances of periodic repair and, of course, cleaning the system on a regular basis is not only recommended but necessary for optimum performance. 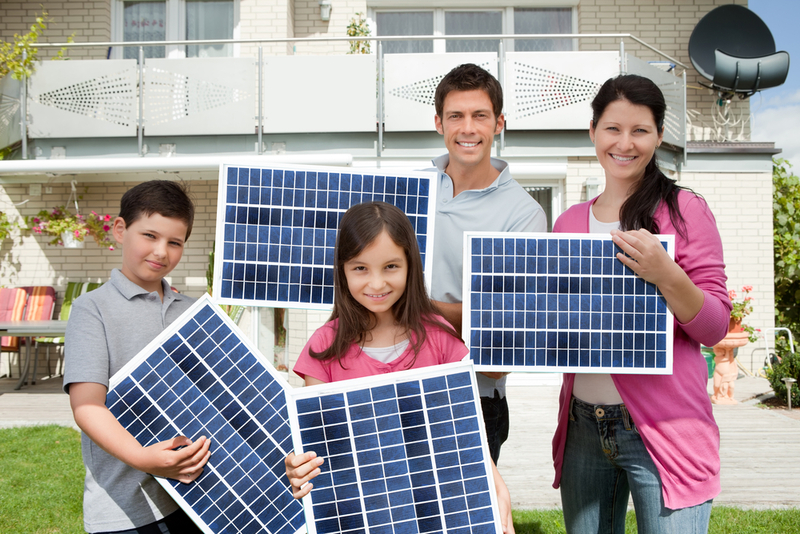 Let’s take a more detailed look at maintaining your solar panels. Maintenance Requiring a Professional – First of all, check with your installation company to see if there is a maintenance service clause in your contract. Over several years, a specific number of maintenance visits may be covered. Repairs that should be monitored and taken care of by a professional crew can include breaks in panel frame sealings, voltage readings to assure quality performance, a general check of electrical components, etc. Easy, Low-Cost Do-It-Yourself Maintenance – If you spend between 8 and 16 hours every year on maintaining/cleaning your solar panel system, you will save loads of money in the long run. A little elbow grease now can save a ton of cash later. Keep the array free of debris and clean. Panels can be washed with non-abrasive cleanser and hosed off for rinsing. Even though the solar panels and the system itself may not need replacing, there is no guarantee that your roofing materials will last for the entire life expectancy of your solar panel system – generally, 30 years. Making sure that your roof is in tip-top shape before installation is highly recommended to avoid problems in the future. Should you need to repair roofing under and around the system, a solar panel crew is going to be needed both before and after the roofers do their job. The system needs to be removed properly, then the roof repaired, and then the system needs to be reinstalled properly. Now you see why you should maintain your roof at all costs. In some cases, there is a possibility that these costs (or at least some of them) may be covered by insurance. Animals are another area that can present a problem when it comes to damage to your solar panel system. An example would be squirrels and pigeons who get very excited about making nests under the panels. They can cause damage to the wiring and the system itself. Sadly, there’s not much you can do about this situation other than keeping a watchful eye out. Because solar energy is a rapidly changing industry, the answers to common questions may not be quite so common – all depending upon how much things have changed since the last time someone asked that question. Whether it is installation, cleaning your solar energy system, updating or upgrading your currently existing system, or any other question that you might possibly come up with it is always best to talk to a reputable solar energy professional. Doing your research ahead of time and making an informed decision will save time, money, and aggravation in the future. Converting to clean, renewable energy is a good decision, but a big one – and should be treated as such.